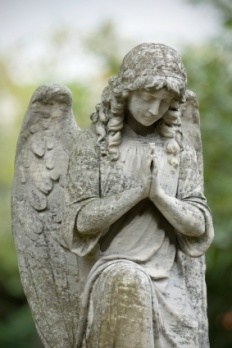 Bereavement prayer allows us a quiet comfort, at an uncertain time. Prayer speaks for us, from a place deep inside, when our own words fail. We become part of a higher calling, and connect with something greater than even we can understand. Some poems are beautiful enough to be used as bereavement prayers, and some prayers are very poetic. These prayers can be used in speeches and tributes. They can also be used at funerals, church services and gatherings to honor a loved one. All prayers do not have to be pre-written by someone else. Any individual can write their own prayer, to be used privately, or shared with others. Lord, support us all the day long of this troublous life, until the shadows lengthen and the evening comes and the busy world is hushed and the fever of life is over and our work is done. Then, of Thy great mercy grant us a safe lodging, and holy rest, and peace at the last. that your reign extends far beyond the limits of this life. through the love of Jesus Christ, our Lord. and an horizon is nothing save the limit of our sight. lest we make hasty or foolish decisions. lest through fear we recoil from living. lest bitterness, false guilt, or regret take root in our hearts. The Lord has taken away. Bring us, O Lord God, at our last awakening into the house and gate of heaven, to enter into that gate and dwell in that house, where there shall be no darkness nor dazzling, but one equal light; no noise nor silence, but one equal music; no fears nor hopes, but one equal possession; no ends nor beginnings, but one equal eternity; in the habitations of thy glory and dominion, world without end. A prayer to offer quiet comfort. The 23rd Psalm is often used as a prayer.